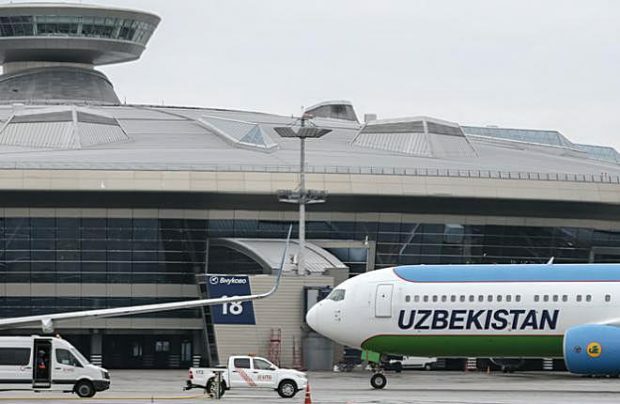 Uzbekistan’s president Shavkat Mirziyoev has ordered the total reorganisation of the country’s national aviation conglomerate whereby Uzbekistan Airways (Uzbekiston Havo Yullari) and the state’s airports are to be legally separated and independently managed. The bill, published on November 27 and entitled ‘On the measures for radical improvement of the civil aviation in the Republic of Uzbekistan’, requires the reconstruction of the country’s state-run concern into two joint-stock companies – the airline Uzbekistan Airways and the airports operator Uzbekistan Airports. All other state unitary enterprises that are currently also part of the national body, including maintenance, repair and overhaul (MRO) service provider Uzbekistan Airways Technics and 11 of the country’s airports, will also be individually reformed into separate limited liability companies. In the process, Uzbekistan Airports will inherit the state’s existing share in the airports’ registered funds. The bill also includes the concern’s rotorcraft and aerial business arm, which is to transform into Uzbekistan Helicopters Ltd.
Air traffic management (ATM) provider Center Uzaeronavigatsiya will remain in the government’s hands under the direct supervision of the Cabinet and, in another key change, January 1, 2019 will see the creation of the country’s independent State Inspection for Flight Safety Oversight. The rejuvenated Uzbekistan Airways will be tasked with the “efficient operation of the renewed aircraft fleet, route network expansion, improving the passenger experience and upgraded aircraft maintenance services, including [those] for foreign operators,” says a statement. The major reorganisation of Uzbekistan’s aviation business is expected to help attract increased foreign investment whilst also “achieving a regional leadership position in the air travel market.” In turn, Uzbekistan Airports is charged with creating a long-term development strategy, which would make provisions for raising further investments necessary for the upgrading of airport infrastructure. The legal separation is aimed at reforming the country’s current out-dated aviation management model – which awkwardly combines state regulations with commercial operations, in an arrangement that seriously impedes Uzbekistan Airways’ financial performance and results in a state monopoly control on commercial air travel activities, including ground infrastructure. For example, the existing status has effectively led to airports operating below their economic viability and generally forcing them to lag behind the global aviation industry, the country’s authorities admit. Reduced capacity and high infrastructure maintenance costs have also resulted in prohibitive costs for international carriers looking to launch flights to Uzbekistan. This explains why, at present, Uzbekistan Airways serves 75 per cent of the country’s total passenger traffic. To find the best solution to the untangling of the single state-run complex into separate, more efficient businesses, Uzbekistan’s government asked World Bank for its assistance in supporting the liberalisation process.